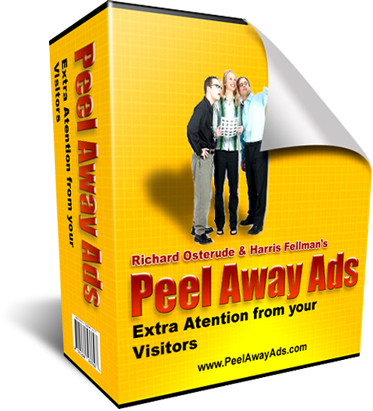 Harris Fellman and Richard Osterude's Peel Away Ads! From Your Site Like A Bad Smell! Something that is less intrusive yet more effective. 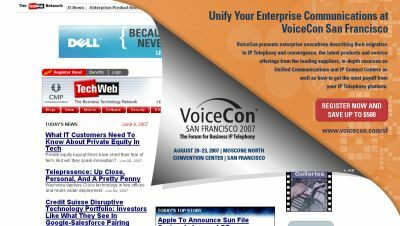 A type of advertisement that makes my customers WANT to see it, instead of Repelling them from your site? 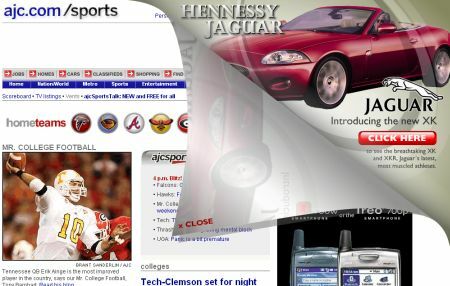 It's a New Breed of Ad that's not only pleasing to the eye, but also incredibly effective in drawing in your customer's attention, causing them to click, and most importantly getting more of them to reach for their wallets because they're actually interacting with your ads now instead of running from them. Supports 98% of online Users - Supports 98% of online users - Our Page Peel Ads script is supported by all web browsers since it uses the Adobe Flash Player. Yes, you reach 98% of all Internet surfers!! "Fire Up The Machine Or Owe Us Nothing Guarantee!" Download Peel Away Ads™ right now, and give it a spin for 8 full weeks. If your Ads click-through rate hasn't at least doubled by then, We'll give back every penny you paid us - absolutely no questions asked. To be honest, we really don't know how you can follow the steps and not convert more than you do already, by a long shot. $167 $127 $97 $67 - Just $27 For All This! Click to order right now for only $27 (even if it’s 3:00 am in the morning). I understand I'll be instantly downloading Peel Away Ads™ for just $127 $77 $67 $27 right now, before the price skyrockets over 250% (at least). 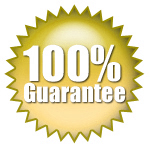 Everything's backed by a full 30 days 100% money-back guarantee - if I'm not overjoyed by my results in that time, I'll get every single penny I invested back without questions! PPS. We're taking all the risk for a full 30 days! We're so confident you'll LOVE Peel Away Ads that We'll give you 100% of your money back if you don't. What do you have to lose? Nothing. Click here to start now! PPPS. Is this even a decision? - Click here to get Peel Away Ads Right Now!